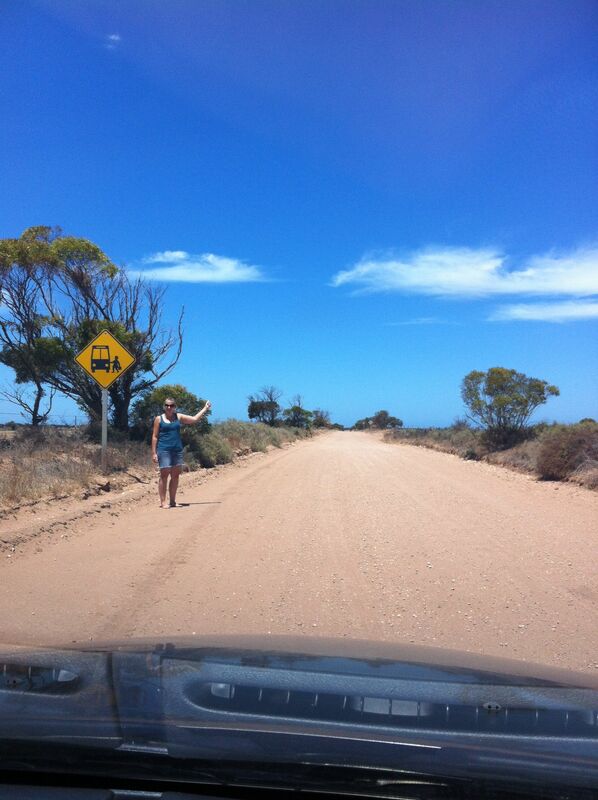 We had the most magic day travelling from Whyalla down to Port Lincoln! It was completely ‘action packed’ and just awesome! There’s nothing like ‘not having to be anywhere’ at anytime and just being able to explore! Here’s a great shot – we’re in the middle of nowhere and here’s a ‘bus stop’ – seriously, i mean the middle of nowhere. It’s a dirt road. 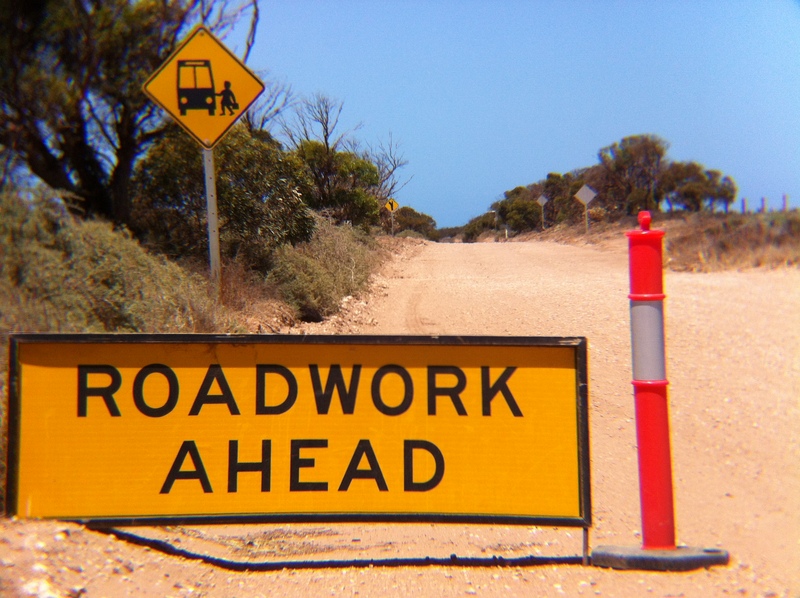 And we found another cute sign – Roadworks. But, again, dirt road in the middle of nowhere and no actual sign of roadworks. But the road did lead to somewhere – eventually – Port Gibbon! What an amazing view! We’re standing on a viewing tower overlooking a cliff – it’s some of the most beautiful crystal clear blue water I’ve ever seen! They also have some of the whitest sand in Australia – and the dunes are fantastic to go sledding down – if you visit, be sure to have something large and flat so you can have try surfing down! 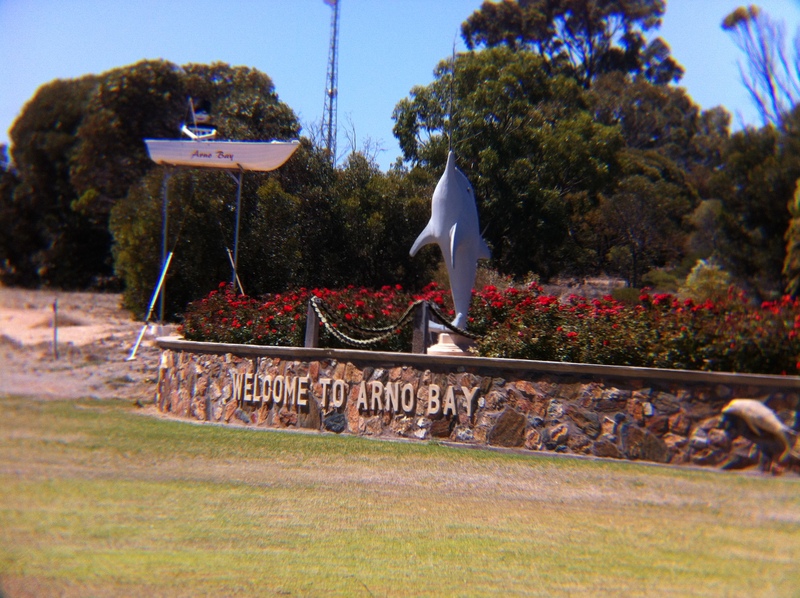 Arno Bay – What a cute little town! It’s beautifully manicured and again, great places for a little snorkel/swim! But, the “GEM” of the tour would have to be George and Nadine. 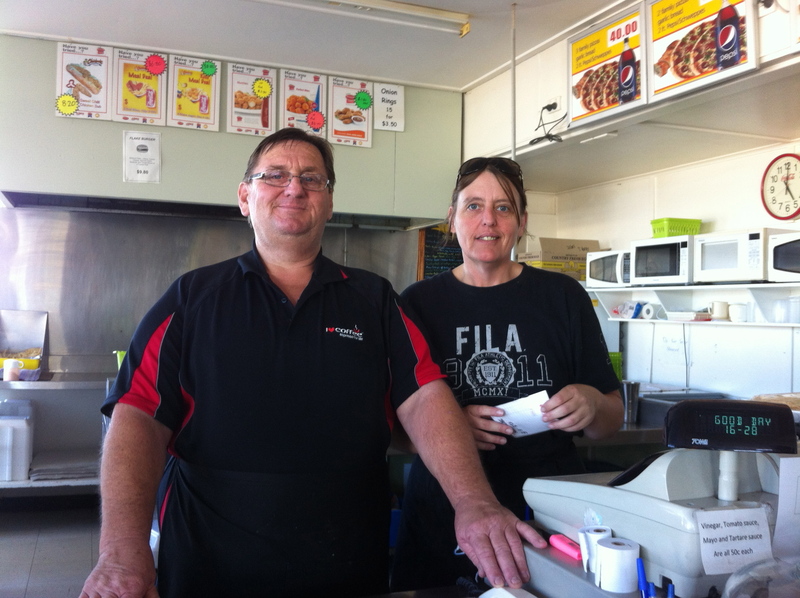 They’re at the takeaway shop in Tumby Bay. It’s really easy to find. It’s across from the pier and has a HUGE takeaway sign. 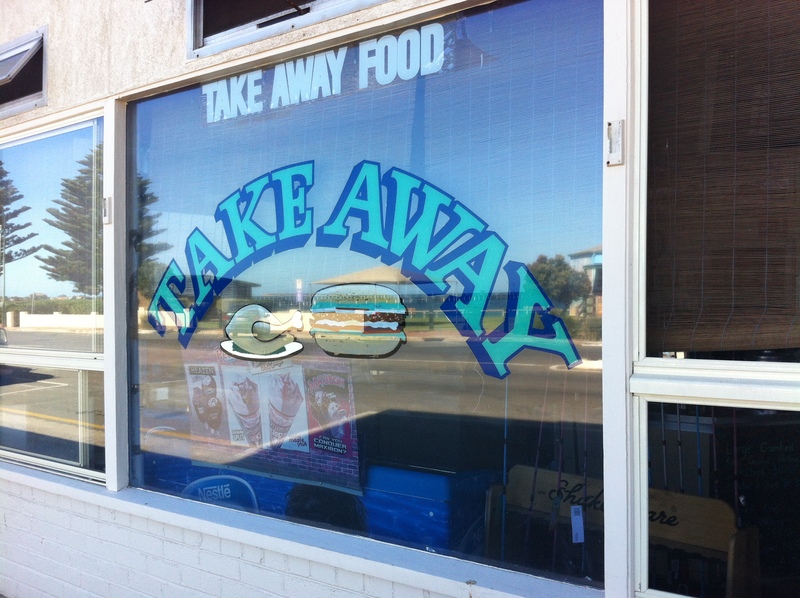 Now, if you’re in Tumby Bay, you must go in and meet George. I repeat, GO MEET GEORGE! He’s a true blue Aussie character! He’s a traveller who loves Australia and will give you the best advice for travel pretty much anywhere in Australia. Both he and Nadine have stories about the area and can offer awesome travel advice pretty much because they’ve done it! But also, the food is great! 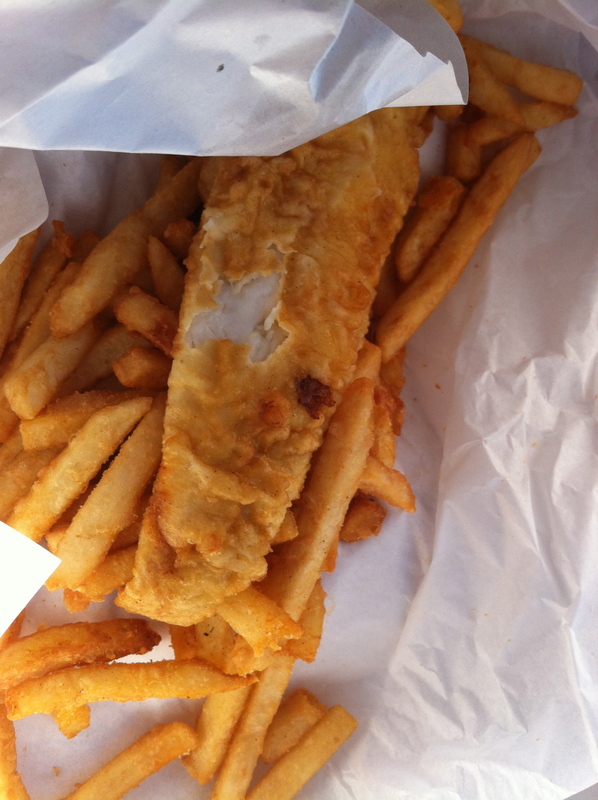 We LOOOOVED the Iced Thick-Shake Coffee and the fish and chips! Wow. Amazing! We had such a great chat about where to go from a local/travellers point of view – and what to avoid. 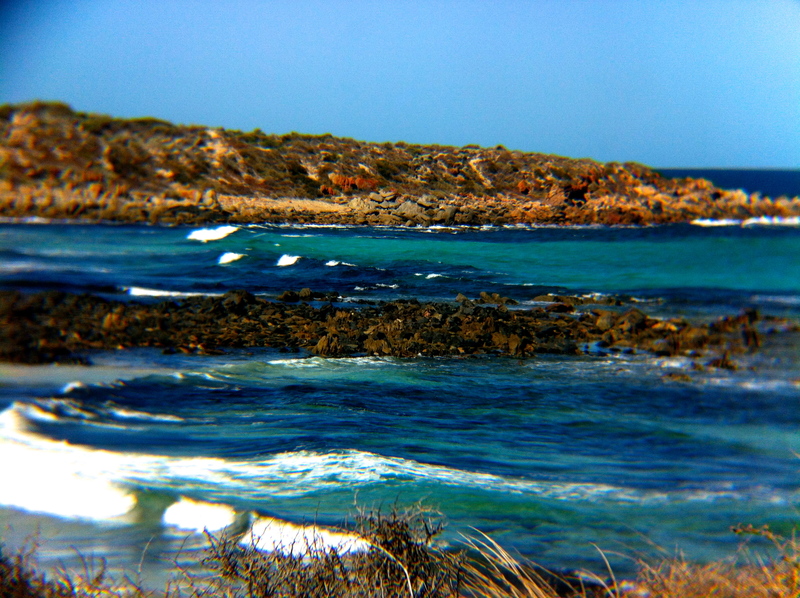 I suggest if you are in Tumby bay, give them a visit! We’ll be returning, for sure! Previous Previous post: The Birds. Next Next post: Here fishy, fishy! !